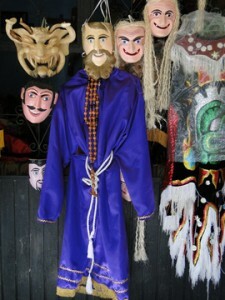 Patzcuaro is known for its mask making artistry. Masks are used in various festivities such as the Night of the Dead, Festivity of the Virgin of La Salud and Dance of the Little Old Men. Before we leave for Uruapan, we start the day with a visit to a local mask maker, Filipe Horta. Considered to be one of the eminent mask makers in Mexico, Filipe Horta has won numerous prizes and is commissioned by various villages to make their festive masks. To view his work, visit his website. After spending some time with Filipe, we drive to Uruapan, which is approximately a 2-hour drive. Uruapan is known as the avocado capital of the world. Throughout the drive we see numerous avocado plantations on the way. In town we are welcomed by a representative of the Ministry of Tourism who has arranged a special tour of a local avocado farm. 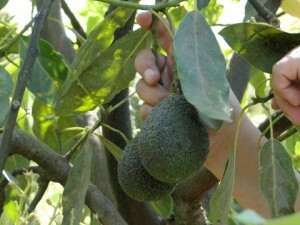 A local avocado expert gives us a talk about the local avocado industry and farming practices. 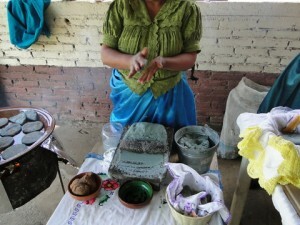 Lunch has been arranged at the farm and the food prepared by local Purepechas women. We are treated to fresh guacamole, hot blue corn tortillas made right in front of us, beans, and a squash dessert in addition to other treats. As we leave for Morelia to fly back to Denver, we are all grateful for this rich experience in culture and natural heritage.